I have been getting a huge number of emails lately asking questions about various aspects of interactive notebooks as well as how I use them. I really try hard to respond to each and every email, even if it takes a few days. So, if you’ve emailed me and haven’t received a response, please email me again. I’ll be on vacation at the end of July and August will be SO busy as I get my brand new classroom ready for the new year, so I decided to put all of the frequently asked questions in one place to make sure everyone’s questions are properly answered. Please don’t be offended if I direct you here. And as always, feel free to email me again if your question is not answered in this post. To find an answer quickly, use cmd+F (Mac) or ctrl+F (Windows) to search this page by keyword. A1. Can I use spiral notebooks or binders? A2. Will glue sticks work in place of liquid glue? It’s so messy! A3. My students keep forgetting their supplies! What do I do? A4. I have so many students that manila folders for lapbooks are too expensive. What else can I use? B1. How many notebooks do my students need? Do they need a different composition book for Literature, Informational Text, Writing, Grammar, and Poetry? B2. Some students take so long to construct the pages. Do you give them a time limit? How do you handle the slowest students? B3. Do you do all of the lessons in order? Do you finish one notebook before moving onto the next? B4. The pages in your notebooks mostly look like right side activities. What do you do on the left side? B5. I have the same students for multiple years. Do they use a new notebook each year? Do they make the same notebook for 3 years in a row? B6. Do you have a suggested pacing guide? B7. Do you make an interactive notebook page every day? B8. Do you have a routine in your classroom? How do you structure your day? B9. You suggest some short stories in your lessons. Where can I find them? Just Google the name of the story and include PDF in the search. You’ll probably find something! B10. Do you have a rubric? / How do you grade your notebooks? B11. What if I get a new student in the middle of the year? B12. What if a student loses his notebook? B13. What can I put in the interactive notebook? Where do I put everything else? B14. When students are constructing the pages, how do you give directions so that they aren’t constantly asking questions? B15. How do you organize the notebook or set up the Table of Contents? B16. What do you do when a student is absent? C1. Do you have a bundle for all / some of your notebooks? C2. If I already have the digital version, do I have to pay full price for the spiral bound hard copy? C3. Do you have math/science/social studies/ notebooks for other grades? Glue holds forever! Just use baby dots about 1 inch apart on anything you glue. tip when finished, they’ll last a long time. A4. I have so many students that manila folders for lapbooks are too expensive. In the past, I’ve put all ELA activities into one notebook. I did not separate it into sections – that would be way too much to manage, I think. The only organization you need is to keep a running table of contents – save the first three pages of the notebook for this, and update it each time you make a new entry. Next school year, I plan to use two notebooks instead of one. The first notebook will be for all reading (informational text and literature) and the second notebook will be for grammar and writing. I’ll let you know how that goes! limit? How do you handle the slowest students? I’ll say “Throw some color on it, you’ve only got a minute left!” and I let my students assist each other when running behind. Some of my students, mostly girls, want to take their time and work slowly and meticulously. Ain’t nobody got time for that!! Really, I tell them they’ll have to come back to it later and do the perfect coloring after class because we’re moving on. For students who struggle to keep up, I let my busy-body girls who want to be in everyone else’s business assist that person. I also tell them that when they’ve finished their part, look around them and assist anyone who needs it. This way keeps everyone on task and everyone caught up! notebook before moving onto the next? No way! While I do re-use many lessons, I hardly ever keep them the exact same or teach them in the same order from year to year. And I do the literature/informational text lessons interchangeably during my reading block and the writing/grammar in my language block. For an idea of what my year with interactive notebooks looks like, please check out my pacing guides. The one for grade 6 includes all of ELA, while 7th and 8th only include reading. Since I won’t be teaching 7th or 8th grade this year, I don’t plan to update those. you do on the left side? I have seen the left/right side business, and honestly, I’m just not willing to commit to that for a few reasons. First, I typically don’t have my students reflect in their journal since I don’t pick them up to grade and don’t want them writing false information in what is their reference for the content that I’ve taught them. If you wanted to use that format in your notebooks, then yes, my pages would be the teaching pages and you could add a reflection on the left hand side. year? Do they make the same notebook for 3 years in a row? Of course not! It really varies for me. When I introduce a concept, we make a page. We keep working on that concept and doing other stuff even though we’re not making pages every day. We’ll read a story or a few stories to apply that skill or concept and refer back to the page when we need to this week and throughout the rest of the year. 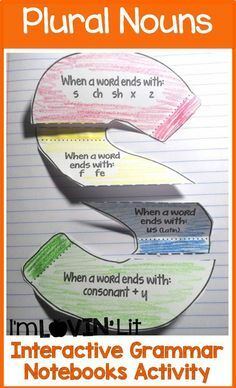 If it’s grammar or writing, then we’ll practice the skill or write something after making the page, and the students are to use the page and the notes on/in the page as their reference. As far as how many per week, it really just depends on the week. Sometimes a few, sometimes just one. But on average, about one per subject per week. I have a 100 minute block for teaching reading, writing, grammar, and spelling. Describing my daily structure is much harder since it seriously varies so much from day to day! 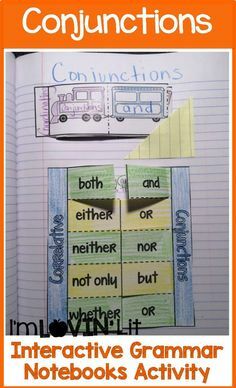 I mesh reading and writing together so much as we write about what we’re reading I really do focus my teaching on the reading aspect and add the rest in around it. I’ll cut corners and sacrifice some of one subject to do more of another, as needed. I like to get grammar out of the way since it requires less critical thinking, then spend the bulk of my day on reading and writing activities. Spelling is done mostly out of class and tested once per week. Most popular short stories can be found online. Just google the name of the story and include PDF in the search and you’ll probably find something. No! I don’t grade notebooks. All of the information in there is dictated by me, and none if it is original student work, so I don’t grade it. It’s just part of the lesson. I wouldn’t grade dictated notes, so I don’t grade this. You might assign a grade for completion or neatness or something but I don’t. the middle of the year? Don’t stress about this. Hand them a blank notebook and have them copy your table of contents (the whole thing) into their notebook and number the pages the same as you have them numbered. Ask them to look over the table of contents and let you know if there’s anything they’ve never learned before (an excellent quick immediate assessment of where they’re coming from). Then, have them pick up wherever you are. As you come across content that the student doesn’t know but needs, have them do that page. Sometimes after school, sometimes sent home, I find a time. You don’t want them going through and doing all of the pages, especially since you’re NOT teaching it to them and technically they haven’t learned all the concepts. Now you can teach the concept as needed. Their notebooks won’t be complete at the end of the year, but it’s the best solution I’ve found and it’s still an accurate record of what they’ve learned in YOUR class. B12. What if a student loses his notebook? What if he just doesn’t bring it to class one day? In three years, no student of mine has lost his notebook. I hope I’m not jinxing myself here! But we’ve always found it some place. If or when a student does lose his notebook, my back-up plan is to treat it like a new student. See question B11 for that advice. Ultimately, it’s more work on the student who loses the notebook, so there is no incentive for that. If a student doesn’t have his notebook in class one day when we’re gluing into it, I’ll have him do the activity with us on looseleaf paper and save it. When he brings his notebook back, we can glue in that entire page where it belongs. 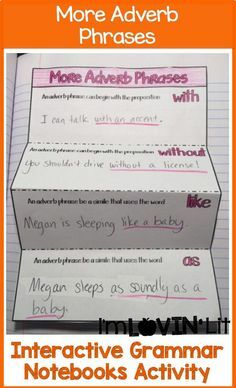 Can my students use their interactive student notebook for DOL (Daily Oral Language)? Can they use them for daily journal entries? For these two items, my answer is definitely NO. Each page has a specific purpose. There are no “throw away” pages in the notebook. What’s the rule for knowing if something is a “throw away” page? Well, if your students will need to refer back to this information in the future, it definitely goes into the notebook. If your students really won’t need to refer back to this information (like a journal prompt answer, daily activity, or comprehension questions), then put it somewhere else. Also, don’t be afraid to put extra stuff in the notebook that isn’t necessarily interactive or perhaps not even content-related. My students set AR goals each 9 weeks, so of course, we put those in the ISN and include it in the table of contents. No more students asking me what their goal is – it’s right in their notebook! Goals, data, etc. that you want students to keep for the year should definitely go into the notebook. My students bring a red folder to class each day and that’s where I have them put everything else I need them to hang on to. They’re required to always have loose leaf paper in there. I also keep some in my room because it’s easier to give them paper than it is to make a stink over it. I construct each page right along with my students. I use a document camera and model every step for them. They do it as I’m doing it. I keep one separate notebook for each class so that I always know where I left off. Also, sometimes different classes do different things or at different paces for various reasons, so it helps me keep track of that, too. If a student misses an activity, I’ll have them come to me during lunch, after school, or some other time and I give them my notebook (See B14 above!) and the pages and they complete the activity. I’ll give brief instructions when it isn’t obvious, but it clearly doesn’t take the place of that lesson. Normally, I’m going to teach this concept over and over again (not just that day) so they should pick it up later, unless they missed a whole week or something. In that case, they’re going to need extra remediation anyway, so I’ll have a high student help me with some of the catching up and instructing on the pages and just do the best I can. I do not sell the digital notebooks in a bundle for several reasons. TpT size restrictions makes that very difficult (impossible actually). Furthermore, the larger the file, the more technical difficulties some seem to have. Instead, I keep all of the notebook prices competitive to compensate for this. If you’ve already purchased the digital file and want to upgrade to the hard copy version, the price will be the same as the price of the notebook. So, the reading literature notebook upgrade is an additional $12, plus $3 shipping per book. If you’d like an upgrade, please email me (ecobb at me dot com) your purchase receipt of the digital file (screen shot is fine) and your PayPal email address and I’ll send you a PayPal invoice that you can pay directly through PayPal. grades 2-3 by the end of summer 2014. This is great information! Thank you! You are so right about the glue! These FAQs were a great idea! 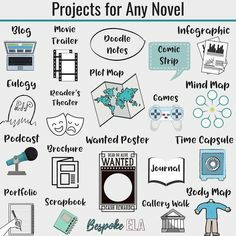 I just bookmarked this post for future reference 🙂 I've loved using your interactive notebooks and so have my students. I'm trying to change things up a little this year and will be having my kids create an ELA notebook that will contain reference information for grammar, writing, and reading strategies. We'll see how it goes! Ooooh, I can't wait for the reading notebook for grades 2-3! Hi Erin, this is an amazing post and the information is really useful and incredibly comprehensive. 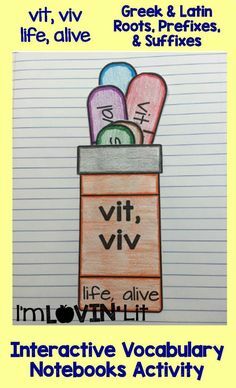 As a Pinterest addict, I just wish you had included a vertical picture with the title of the post, so I would be able to pin it. The only pictures available now won't accurately represent how amazing this post is. Thank you for putting this information all in one place, it is definitely extemely helpful! My students absolutely LOVED your IRN last year and I intend to use the rest this year! I absolutely love love love your products. 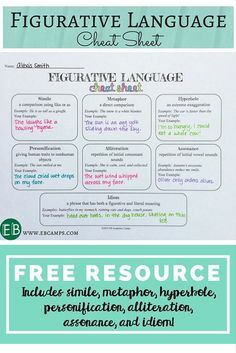 I've been using notebooks for awhile now in language arts, math, and religion, but I appreciate all the hard work you put in to making the language arts resources really "pop" Thank you for sharing your pacing guides! I always like to see how other teachers are planning their years. Language arts is such a HUGE SUBJECT! Thank you for creating this FAQ! One question I had was about time. Let's say you introduce the concept on Monday…how much time (typically) do you spend on the INB portion of class? And are you talking through the material while doing this? And a kind of related question… how much movement is going on in your room? I have read that the 90-100 minuted ELA block should be broken up into at least 3 sections so students don't get wiggly (especially 6th graders!) Any responses from other posters are greatly appreciated as well! Do you have a bundle with all the notebooks for ela for 5th grade so that I can purchase them at once while on sale? Hey there! Just wanted to say I adore your personality! I also love your idea about wrapping duct tape around the glue bottles! Thanks so much! wondering about the binders your use as examples- where/how are these available? Thanks – for the great ideas! Really great job! Kudos for your organization and professionalism. I'm impressed and inspired. Thank you! OMG you are amazing!! Thanks for your detailed explanations!! I'm just starting using them this year & realize I'm doing it all wrong already! Lol. . . will slowly start to revise! Thank you!! Does the grammar interactive notebook include assessments? Thanks!